On this pag e we will be looking at the Polaroid ZIP Printer which includes ZINK’s zero ink printing technology, which we took a look at in our review for the Zink hAppy Smart App Zero Ink Portable Printer. 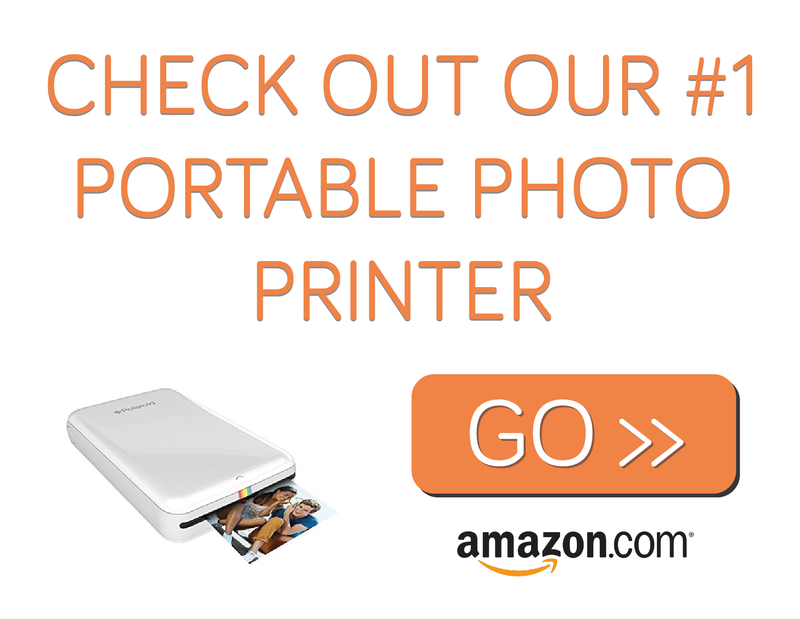 This is a great portable mobile printer for all your printing needs and is one of our top picks for portable photo printers – read more of our Polaroid Zip review below! Polaroid are the original instant print cameras and now you can enjoy all that in the digital age by printing instantly and wirelessly from your smartphone or tablet. Also with the ZINK Zero Ink Paper you can print without ink, so no messy ink cartridges or ribbons to worry about all you need is your phone or tablet and your printer, then you’re set to take great pictures or create awesome artwork and then instantly print it! 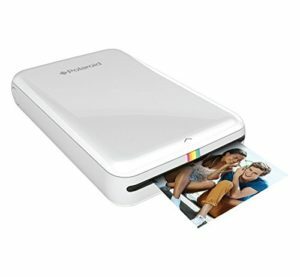 Okay so why the Polaroid ZIP Portable Photo Printer? 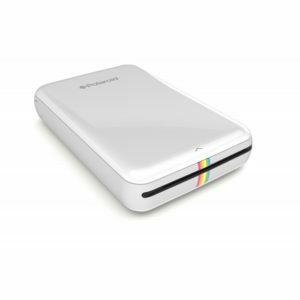 The Polaroid ZIP is simple to set up with IOS or Android on any smartphone, tablet and other devices over Bluetooth or NFC. It’s also so tiny! At 2.8” x 0.9” x 4.7” it fits in your hand! So it’s super portable, just what you need it to be when your out and about taking snaps! For information and a guide to using and loading the Polaroid Zip Paper click the link.